A charming city squeezed between harsh karstic hills and the Adriatic Sea, Trieste will amaze you with its beauty and originality, and offer you a unique unforgettable stay. You may follow countless routes throughout the city, but don’t miss the most important sights, including a climb to San Giusto hill to enjoy a beautiful panorama over the city and the gulf, and visit the Cathedral and the castle; Piazza Unità d’Italia, the “city parlour” and one of the largest and nicest seafront squares in all Europe; Borgo Teresiano, a district developed by Empress Maria Theresa of Austria, now teeming with bars, cafés and shops. 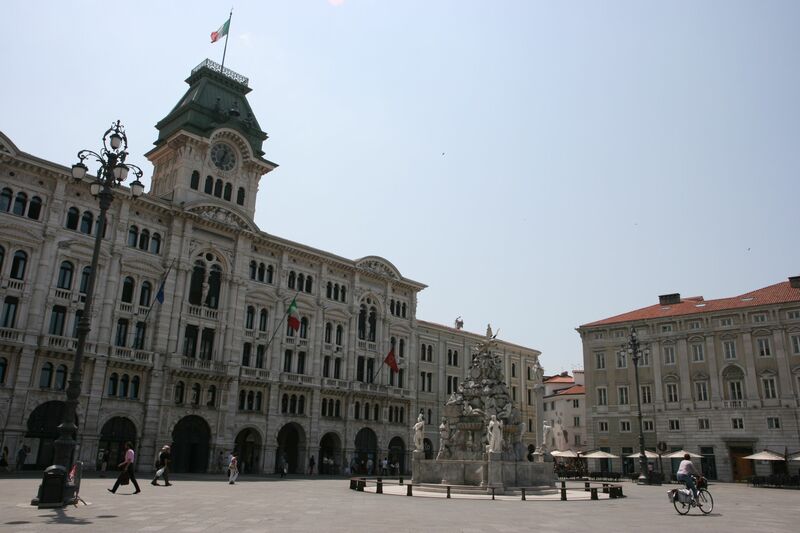 Trieste is also a multicultural city by excellence, so you can visit the largest Synagogue in Europe, an Anglican Church, a Serbian Orthodox and a Greek Orthodox churches, all of them in the city centre. At a small distance down the coast, the Castle of Miramare was once the historical residence of archduke Maximilian of Hapsburg, enclosed by a lush park, and the Castle of Duino is the manor house of the princes Torre and Tasso. Nature lovers can’t miss a nice trip to the Karst. You can take the “Tram de Opcina”, the city tramway to reach the tableland. The Karst is an ideal place to enjoy natural landscapes, visit typical villages and hamlets, and eat tasteful local dishes in the famous “osmize” and tourist farms. As you can guess, Trieste boasts countless beautiful spots and one weekend may not be enough!